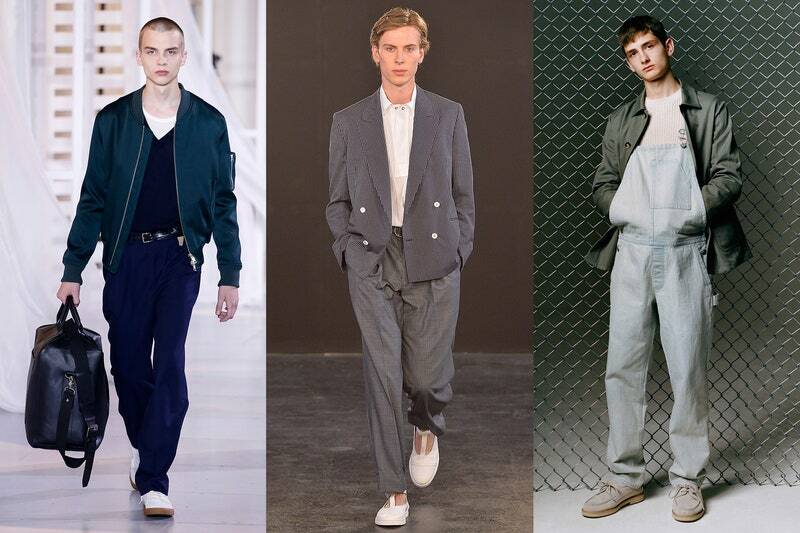 As the years go on, it seems like trends in menswear get more and more daring. In 2016, that meant things like embroidered snakes, tie dye, and all-occasion track pants. But for 2017 trends, things are going to have to get even ballsier to keep the most stylishly adventurous men satisfied. Below are some trends that may not be for the faint of heart—but will separate you from the pack even as it becomes increasingly diverse with each passing season. By now, you’ve got a navy topcoat, a gray one, and maybe even one in camel or plaid. But the truly adventurous man in 2017 should reach for something a little more exotic—whether it’s an unexpected hue (like a Pharrell Williams-inspired pink) or a leopard print fur. The key to pulling it off without looking like a Jersey Shore mom? Ripped jeans and your coolest clean white kicks. Now that most guys are okay with the idea of dyeing their hair blond, it’s time to step up to something a little, well, weirder. If you’re in need of some inspiration, look to Frank Ocean’s most recent album cover, Kanye West’s sorbet swirl ‘do, or Adam Levine’s pink frosted tips. Once considered the ultimate in dork style, tucking your sweatpants into your tube socks has become a favorite amongst influential (if unconventional) style gods like Shia LaBeouf. And in our era of graphic printed logo socks, there’s never been a better time to embrace the this style move.